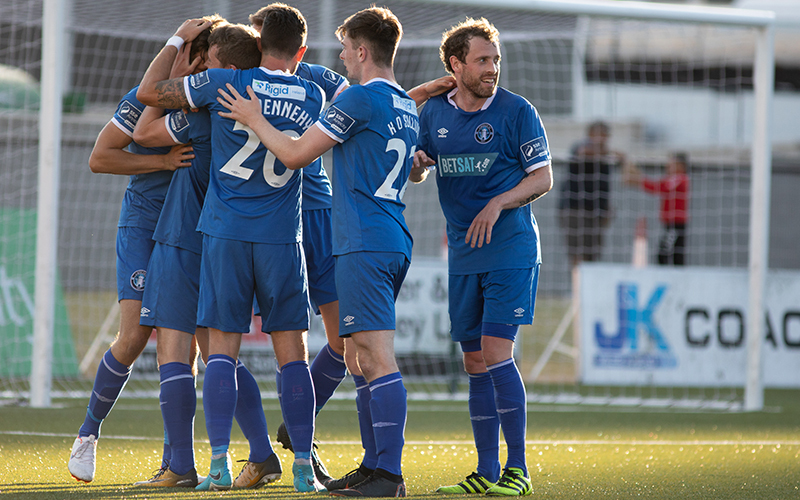 Connor Ellis put Limerick on the way to the Irish Daily Mail FAI Cup quarter-finals and Barry Maguire finished the job as they overcame Cabinteely 2-1 in the second round at the Markets Field on Friday night, to book their place in Monday’s last-eight draw. The difference in a lacklustre first 45 was Ellis’ alertness on the half-hour as he latched onto a weak pass to Cabinteely ‘keeper Stephen McGuinness to steal in and finish well from a tight angle. The 21-year-old forward was unlucky not to grab a second before the break. However, after a slight scare from Cabinteely, Ellis played his part in the second and killer goal on the hour-mark, supplying the cross which Maguire eventually found the net from. Maguire had also scored in the round of 32 and – despite a late consolation from Cabinteely – his close-range strike completed the job for the Shannonsiders, who will find out their next opponents during RTÉ Two’s Soccer Republic programme on Monday evening. Manager Tommy Barrett made five changes to the team that lost to Sligo Rovers in the Premier Division seven days earlier. Coming in were Shaun Kelly, Colman Kennedy, Darren Murphy, Shane Tracy and Danny Morrissey, who replaced Kilian Cantwell, Killian Brouder, Shane Duggan, Karl O’Sullivan and Will Fitzgerald. In the absence of the suspended Duggan, Billy Dennehy was handed the captain’s armband. McGuinness gathered an early effort from Kennedy whose header from a Dennehy free-kick was deflected into the goalkeeper’s hands. Limerick were then forced into a quick change as Eoin Wearen was forced off with injury and replaced by Brouder, who had been suffering with a stomach bug during the week. Murphy hit a wayward strike from distance and Tommy Holland collected the ball on the line after a Luke Clucas header had gone over him, in what was a very quiet opening to the game. But out of nowhere Limerick hit the front on 29 minutes when the alert Ellis nicked possession before McGuinness could get there, and he rounded the ‘keeper before finishing well from a tight angle. It should have been 2-0 four minutes later as Tracy put a free-kick on a plate for Brouder but from close in he somehow scooped it over. Limerick are through to the Irish Daily Mail FAI Cup quarter-finals for the second year running. And before half-time Ellis was unlucky not to double the advantage and his tally. After McGuinness dropped the ball under pressure from Morrissey, Ellis rifled a shot which was bravely blocked before an even more powerful follow-up saw more Cabinteely bodies get in the way with their ‘keeper stranded. 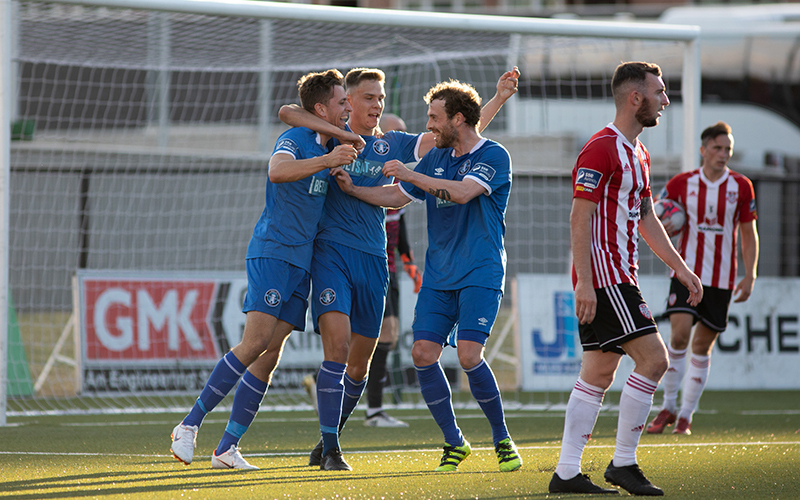 Two minutes after the restart, Joe Doyle’s header was pushed away by Holland, and as Limerick broke at pace Maguire took on a shot from 25-yards which whistled just over, in a lively opening to what proved to be a much better half. Doyle then burst through the home rear-guard but a heavy touch allowed Holland to come out and smother the ball at his feet. On 55 minutes, O’Sullivan was introduced in place of Tracy and Limerick soon added a second goal. Ellis’ pace got him away from the Cabinteely defence as he got in on the right of the box before pulling back a good cross which Cían Coleman and Maguire both attacked, the first effort blocked on the line only for Maguire to follow up and fire in. Maguire could have had another soon after but the ball trickled just wide after McGuinness had pushed a Morrissey shot back into his path. The game appeared to be comfortable for Limerick but they did concede right on the 90 to make it a slightly nervy finish. However, in the end it was only a consolation as they made it through to the quarter-finals for the second year running. Limerick: Tommy Holland, Shaun Kelly, Eoin Wearen (Killian Brouder 9), Colman Kennedy, Billy Dennehy, Cían Coleman, Darren Murphy, Shane Tracy (Karl O’Sullivan 55), Barry Maguire, Connor Ellis (Will Fitzgerald 76), Danny Morrissey. Goals: C Ellis (29), B Maguire (57). Booked: S Tracy (53), D Murphy (78). Unused Subs: Jack Brady (GK), Colm Walsh-O’Loghlen, Adam Foley, Ger Barry. Cabinteely: Stephen McGuinness ©, Daniel Blackbyrne, Jack Tuite, Kevin Knight, Karl Byrne, Jack Watson, Karl Manahan (Eoghan Morgan 75), Keith Dalton, Kieran Marty Waters, Joe Doyle (Jean Yves Poame 60), Luke Clucas (Dean Casey 60). Booked: K Knight (70), K Byrne (72). Unused Subs: Jack Menton (GK), Robert McGee, Seán Fitzpatrick, Andrew O’Reilly.